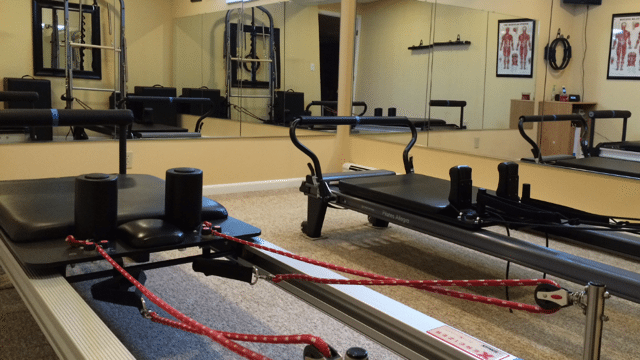 True Focus Pilates is a Northern New Jersey based Pilates Studio Founded by Certified Pilates Instructor Lisa Bowman. Strength, muscle balance and movement are the True Focus of her training. Private, duet and small group classes available. 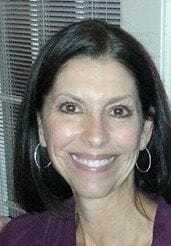 Lisa is a Balanced Body Certified Pilates Instructor. She has practiced Pilates and Yoga for over 15 years along with other various types of exercise for upwards of 30 years. She also holds a Personal Training Certification with W.I.T.S., a Barre Certification with Bootybarre and is a licensed SilverSneaker Instructor for both Classic and Yoga. She has also completed The Pink Ribbon Program which gives her an opportunity to work with Clients who are Breast Cancer survivors and need to strengthen muscles specific to their individual needs. Lisa continues to educate herself regularly in order to perfect her teaching skills and to bring new and safe workouts to her Clients. Exercise and fitness have always been a huge part of Lisa’s life. She is very active and finds great pleasure in working with her clients and encouraging them to also live healthy, active lives. I love teaching my Clients more mindful and effective movement patterns that they can incorporate into their daily activities! 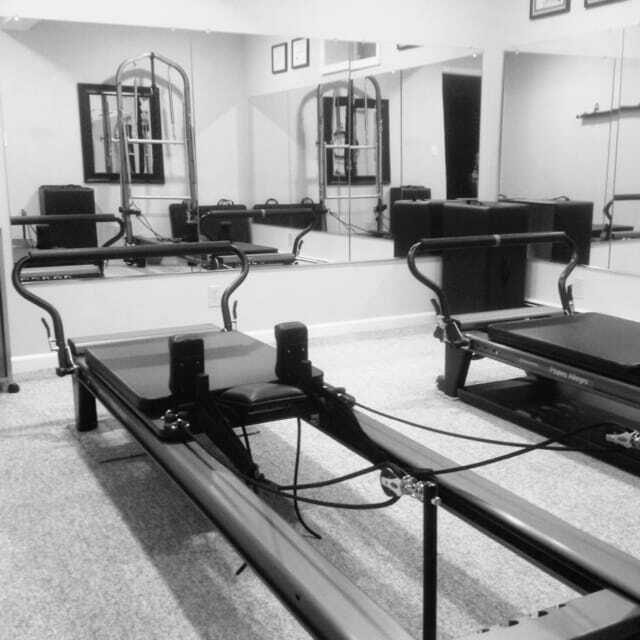 We will use different combinations of the Pilates Reformer,Tower and Chair each week to challenge your body in many different ways! All levels. Private & Duet. *All Class Sessions are 55 minutes long. A challenging class with or without our many various props! 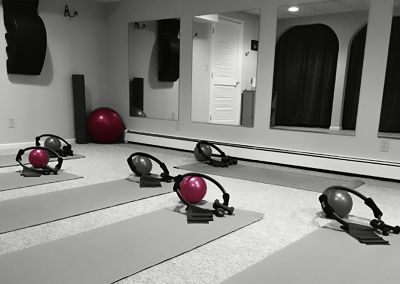 (small and large stability balls, rollers, bands, rings, weights, blocks) Fun and challenging for all levels! Although we do understand that making a commitment to your practice is important, we do also understand that life sometimes gets in the way. With commitment you will see and feel greater results. That being said we do ask that if for some reason you have the need to change or cancel your session that you please adhere to the 24 hour cancellation policy to avoid being charged. When I first met Lisa, I was just starting out on my “fitness” journey. 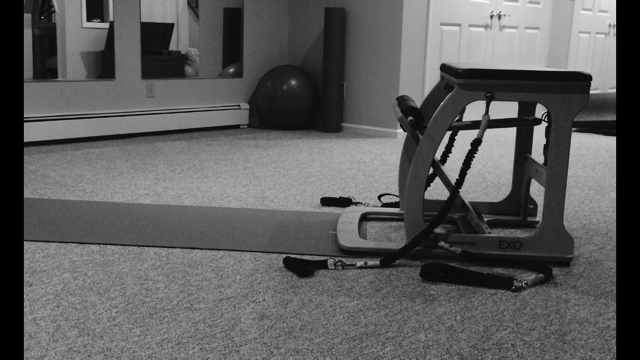 Cardio had never been my thing and I wanted to get into Pilates. Lisa was the perfect trainer for me. Lisa’s bubbly and friendly personality immediately puts you at ease. She instantly becomes your friend and you feel like she “has your back”. 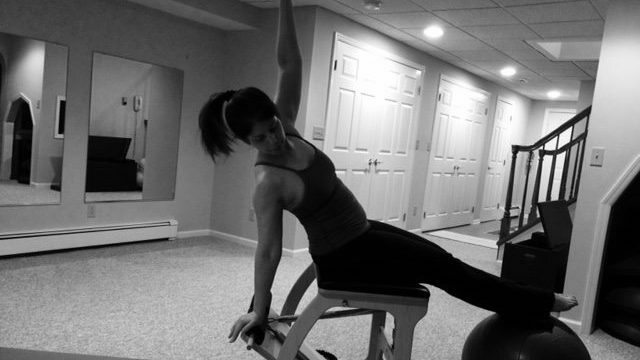 Lisa has years of experience in different areas of fitness and has an in-depth understanding of the body. Lisa will create a personal, tailor made workout to suit your body’s needs. Her personal dedication, professionalism and patience knows no bounds. Lisa is a gifted teacher- her explanations and demonstrations of each exercise make them so clear and manageable and if my body is not “there yet”, Lisa knows the exact right modification my body needs that day. Lisa’s studio is a beautiful, clean, calm oasis and she makes scheduling classes a breeze. I highly recommend True Focus Pilates- it will change your body, mind & life. I began working with Lisa a little over two years ago. Since then every session has been fun, although challenging. Lisa has paid close attention to my needs and I always know that she has prepared a session that will reinforce my strengths and support my progress. I have found Lisa to be very professional in her approach to her work and seriously concerned that she herself remain proficient in what she is teaching. Her studio is inviting and calm. It is well equipped, clean and bright. Lisa herself is energetic, enthusiastic and very positive. She is reassuring and encouraging. I have always felt her acceptance of and respect for my efforts during our sessions. And I always leave happy that I came. Pilates has been a real gift in my life. For two hours every week I focus my attention on my body and really have come to appreciate how complex a system it is. I feel stronger for the effort and have enjoyed the fact that this is a noncompetitive form of exercise where everyone is a winner. 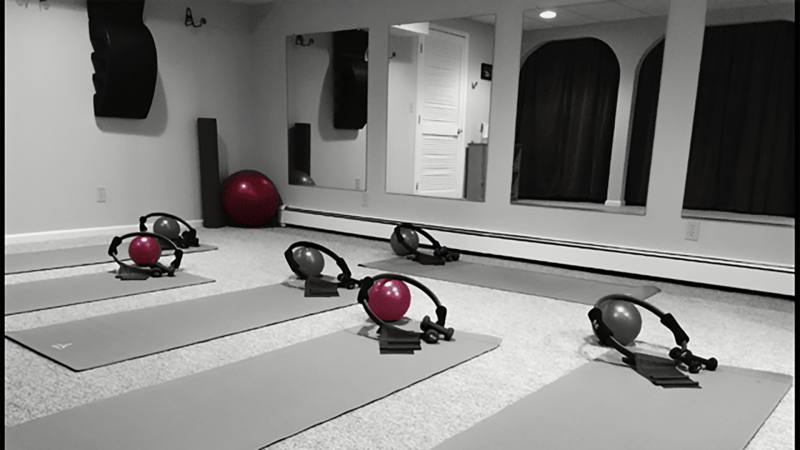 The private studio is located in Mahwah, New Jersey and is accessible to all main highways. 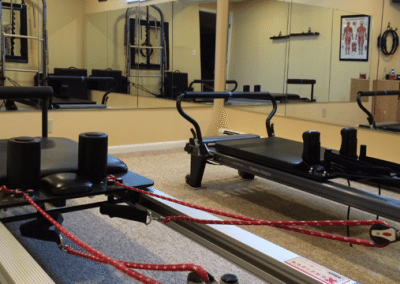 It offers a serene and comfortable atmosphere with the latest equipment to accommodate the most advanced pilates exercises. Here are just some of the gallery images showcasing the studio and equipment ready for both private and duet sessions with Lisa Bowman. Pilates is an exercise system developed by Joseph Pilates to strengthen muscles, increase flexibility and improve overall health. Exercises are performed on a Mat and on specifically designed equipment. The Pilates system includes exercises for every part of the body and applications for every kind of activity. It works your body and your mind. 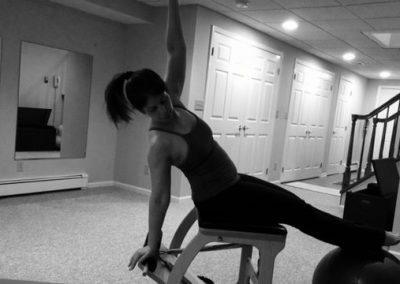 Pilates strengthens the core, improves balance, increases coordination, increases flexibility and decreases stress. 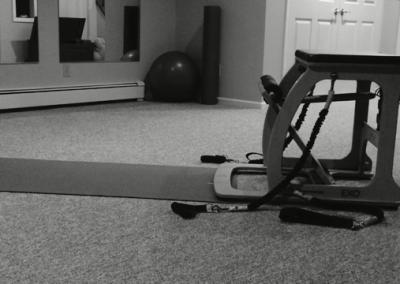 Pilates is used by many athletes to improve their performance. You learn to move better so the benefits are felt in everyday life. Anyone of any age can do Pilates! 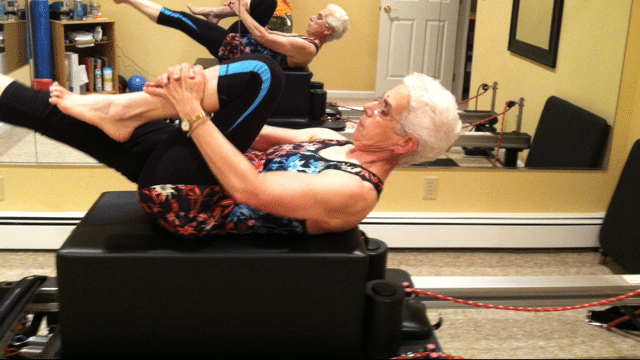 Whether you are an athlete, a mom, a young dancer or a grandparent, Pilates is for you! Comfortable workout clothes are worn, not too loose. No shoes are worn; sticky socks are required for sanitary and safety reasons. We do not recommend wearing a lot of jewelry, and suggest tying back long hair. Leave your name and email below along with any questions you may have. Or you can call me at 201.788.6015.